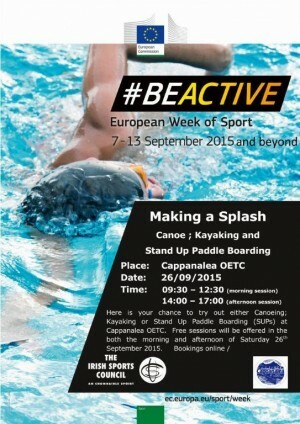 Cappanalea OETC is organising a series of free outdoor activities during the European Week of Sport, for families and individual wishing to engage in healthy outdoor land and water based activities. Family Forest Day – Saturday 19th September 2015 – 14:00 to 17:00 – at Knockreer House, Killarney – Activities include Orienteering and Guided Nature Walks. Pre booking online is essential in order to secure your place. 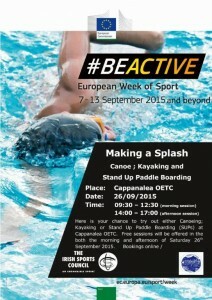 Making a Splash – Saturday 26th September 2015 – 9:30 to 12:30 or 14:00 to 17:00 – at Cappanalea OETC – Activities include: Kayaking; Canoeing; Stand Up Paddle Boarding (SUP). Pre booking online is essential in order to secure your place. 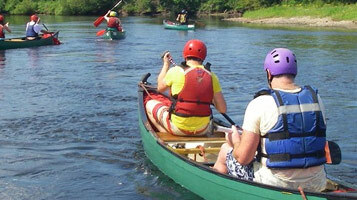 Outdoor Teambuilding – Power Challenge – 11th – 12th September 2015 – Killarney National Park – this will involve participation in a range of outdoor activities. Scout Leader Training Day – Sunday 27th September – 10:00 – 17:00 – at Cappanalea OETC – a dedicated programme for scout leaders to empower them to carry out the activities back to their own scout troops.